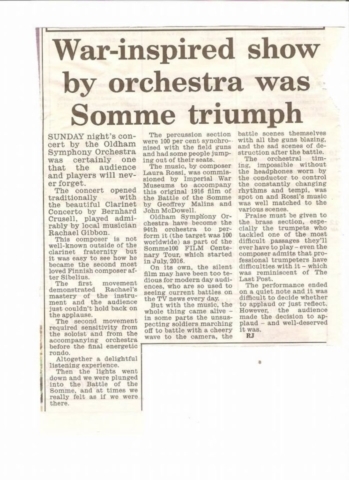 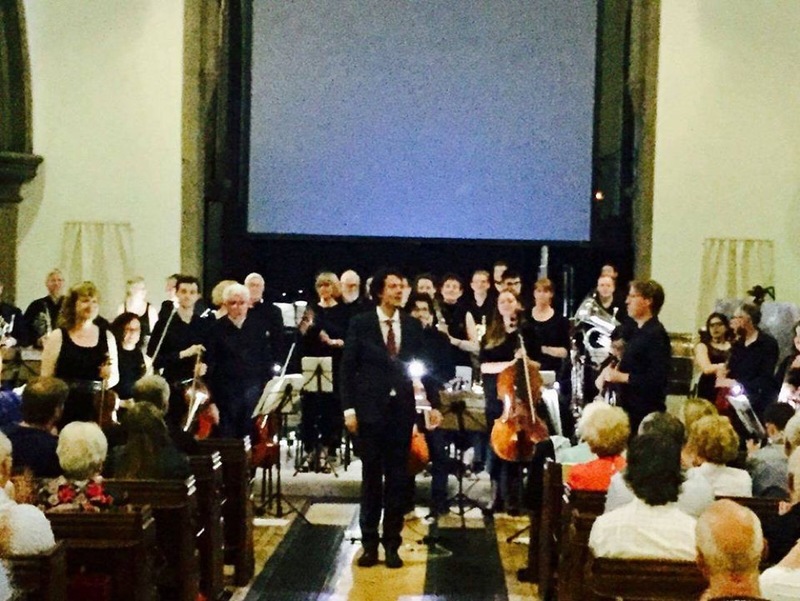 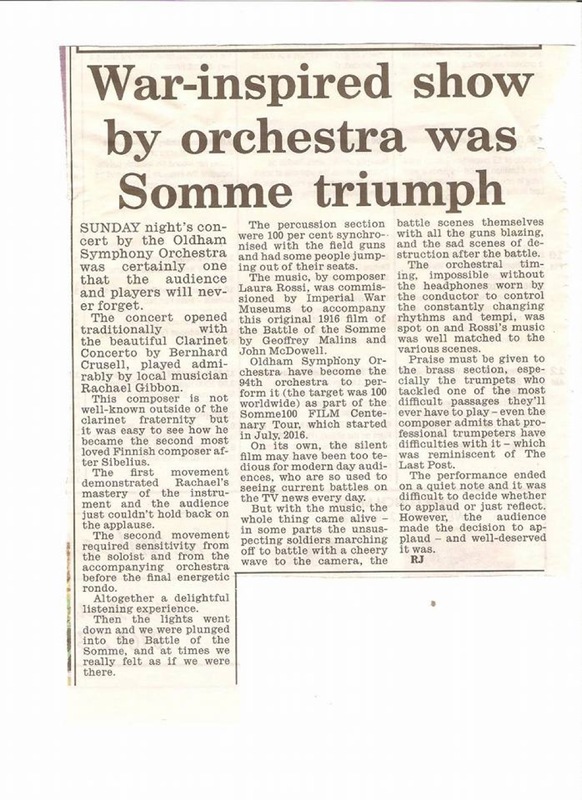 Well done Oldham Symphony Orchestra, what a great review! 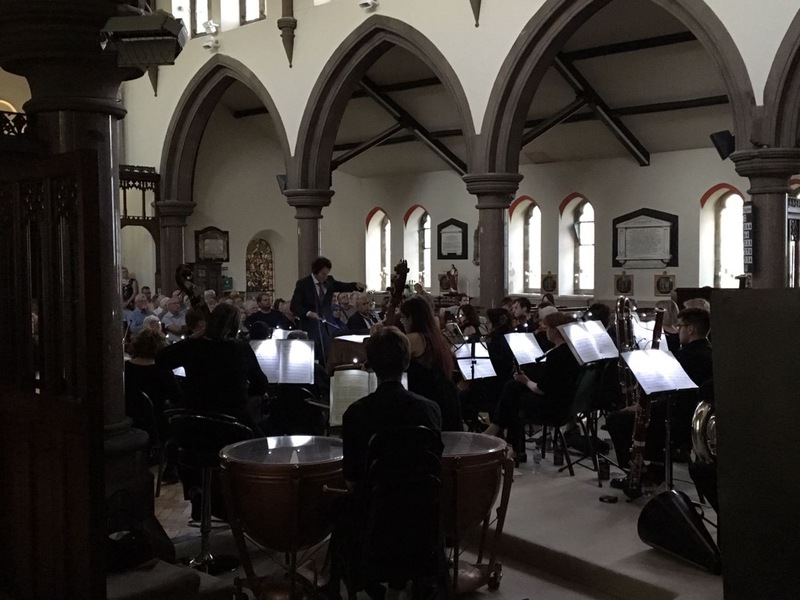 It was so beautiful to conduct you in last Sunday’s concert. 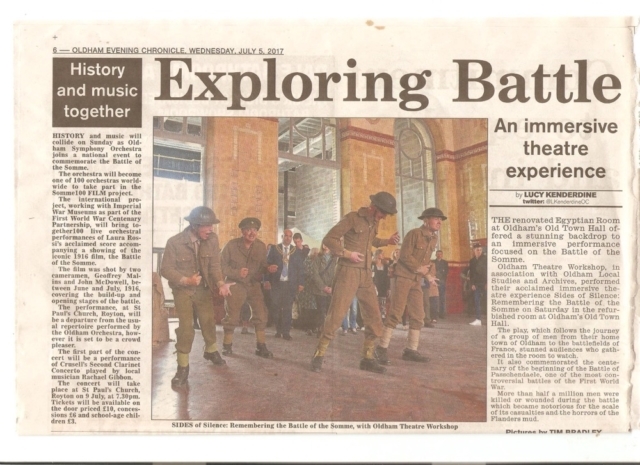 All the hard work in organising this event and performing at our best payed off in the end. Have a great summer and I’m looking forward to seeing you again in September to have more successes like this together again. 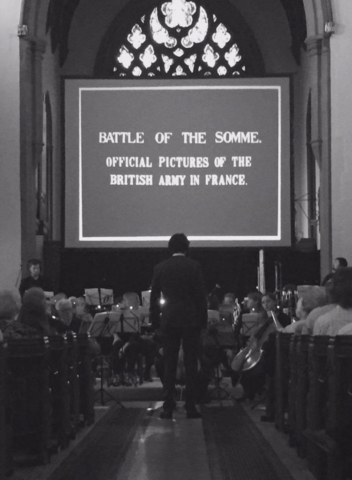 Oldham Symphony Orchestra and myself have very much enjoyed working on your score for The Battle of the Somme. 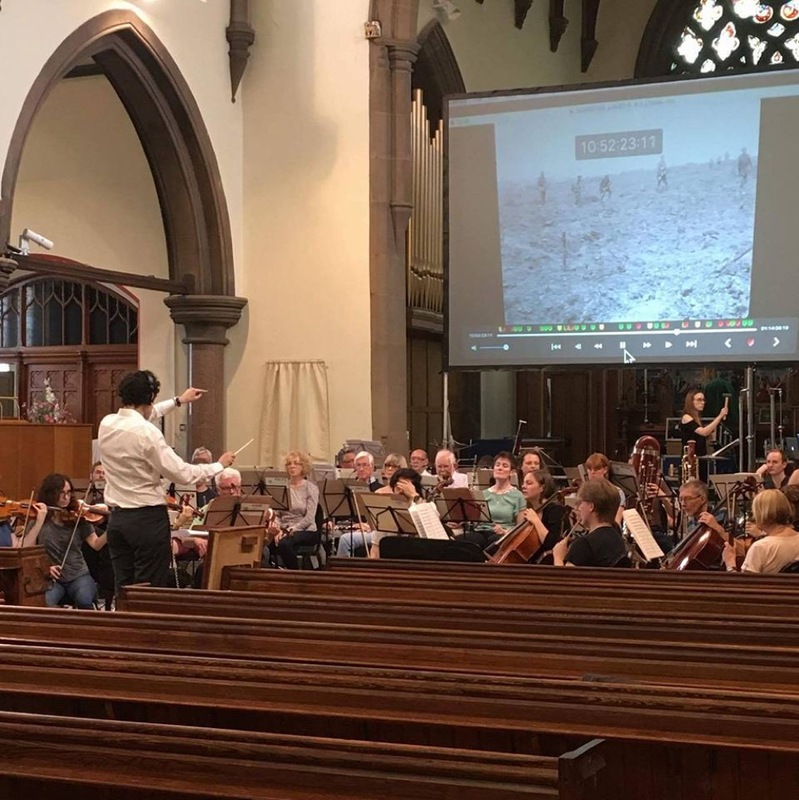 I find it is a very knowledgeable work and innovative and fresh at the same time. We are looking forward to playing at our best and giving a vibrant performance of your work tomorrow. 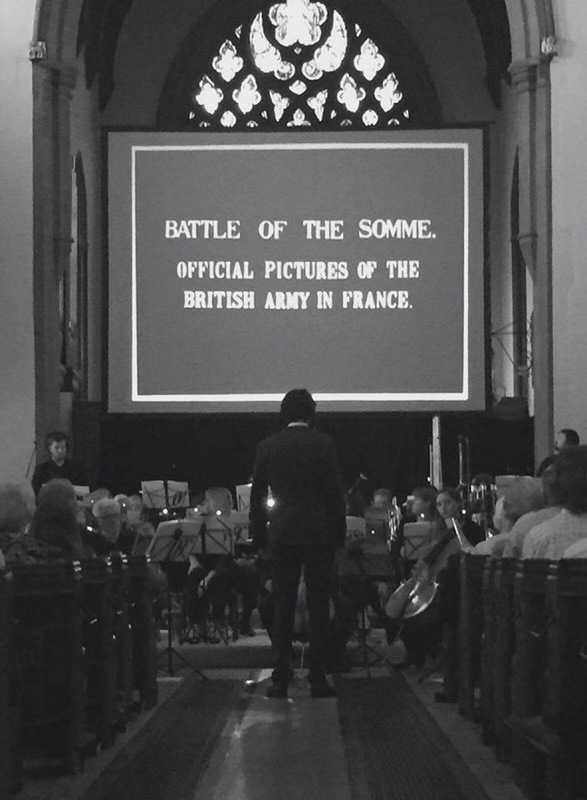 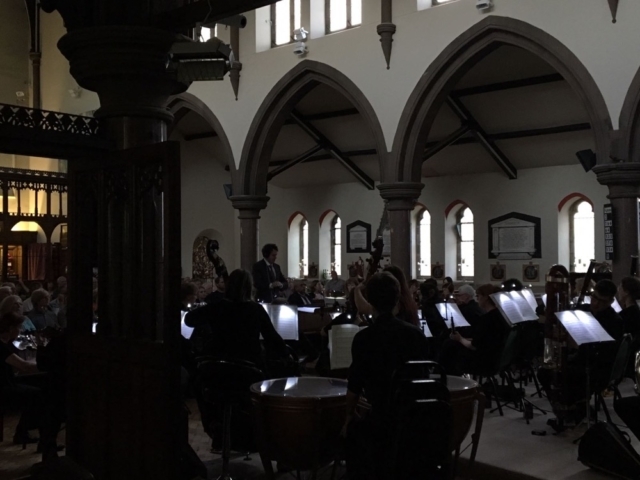 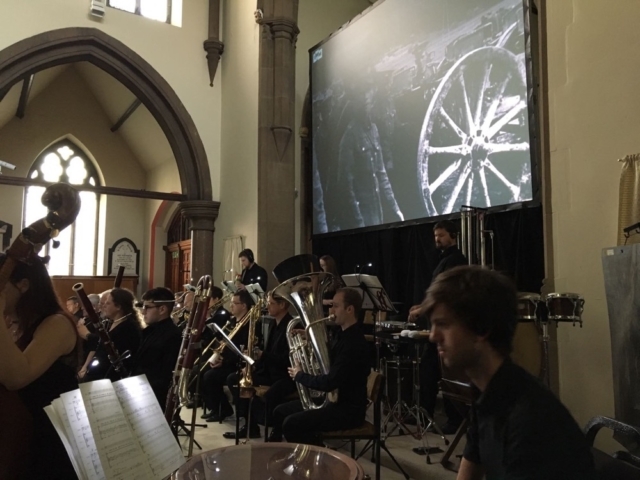 Last night I watched a performance of The Somme played by the Oldham Symphony Orchestra. 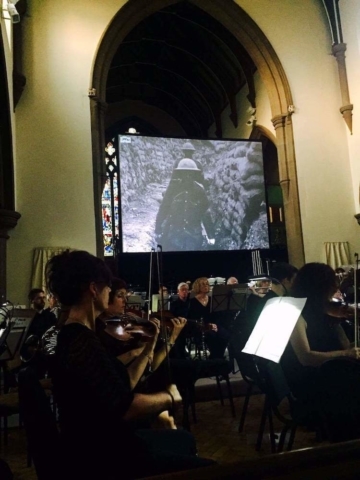 I wanted to let you know I thought the music in line with the film was outstanding. 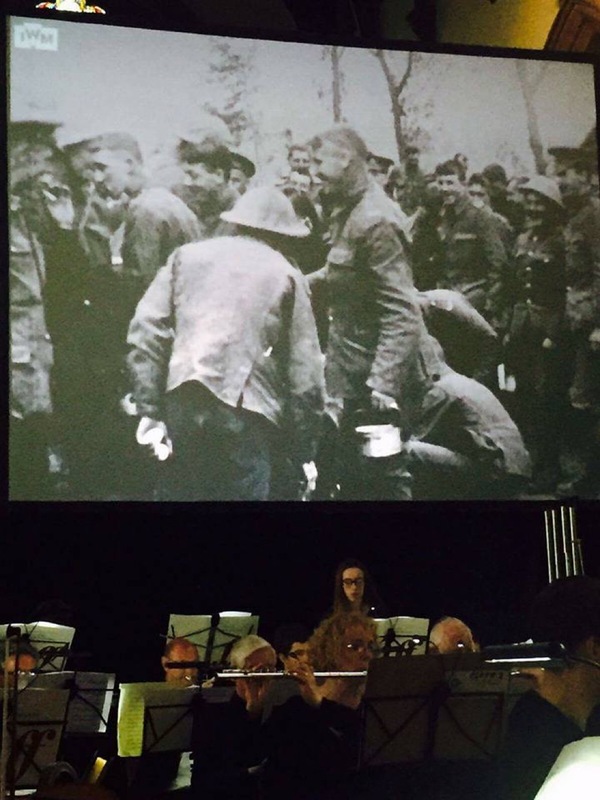 I watched with my sons (12 & 15) who also enjoyed the performance, and have being doing WW1 at school.